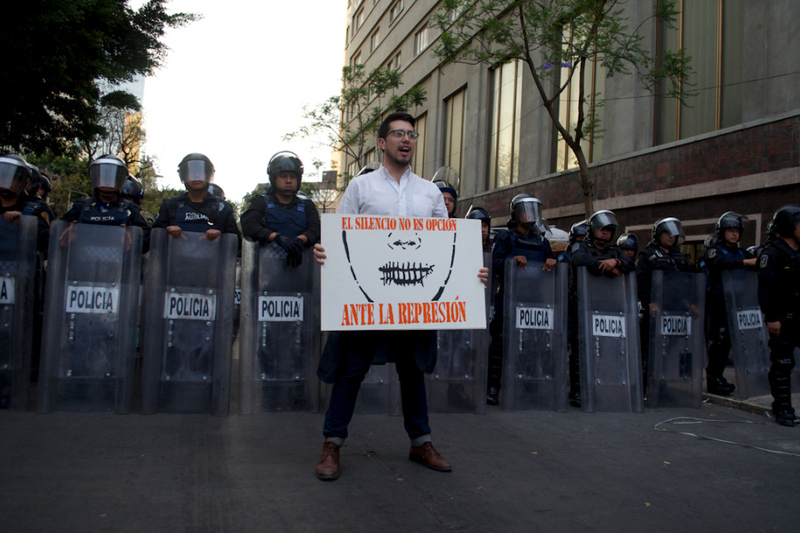 In Mexico, perceived media bias towards President Enrique Peña Nieto has sparked protests. Freedom of expression and the press have been sharply reduced during his presidency, and repression of demonstrators and control of the mass media seem to be official policy. A new law proposed by Peña Nieto’s government would further violate internet privacy, and block or inhibit telecommunications systems during public events, preventing the flow of information deemed by the government to be dangerous to peace and national security.